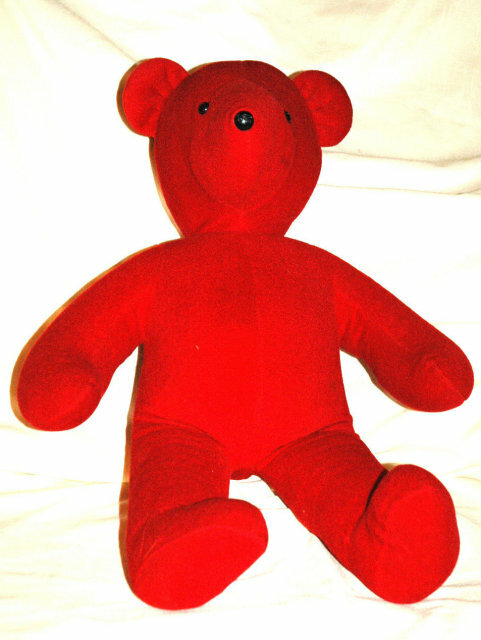 Cute 21" Red Designer Bear by Barbara Isenberg North American Bear Co. Chicago Illinois. It is made the USA. The outer fabric is of an short piled felt like fabric that is surface washable. 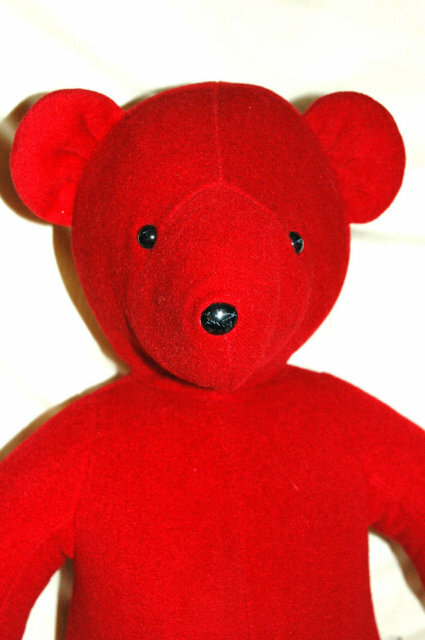 It has button nose and eyes. 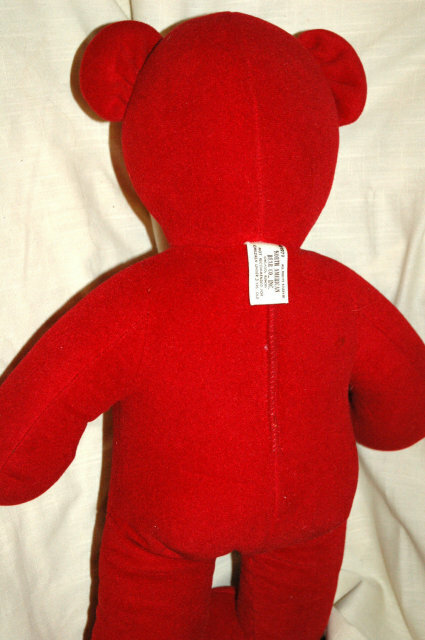 Items Similar To "Red Valentines Teddy Bear Designer Barbara"